Tongue Stabilizing Device (TSD) have been proven in various clinical trials to be effective in the treatment of Snoring and Sleep Disordered Breathing. Sleep and Breathing, Vol. 6, November 2002. Kingshott R., Jones D., Taylor D., Robertson C.
The polysomnographic efficacy of a novel tongue-stabilizing device (TSD) in the treatment of snoring and sleep-disordered breathing (SDB) was evaluated in this pilot study. Six current users of the TSD with SDB underwent polysomnography with and without the TSD in situ in a randomized crossover design. The TSD significantly lowered the frequency of snores per hour slept (61- to 70-dB range) (no TSD: mean = 41/h slept ± 52 SD; TSD: 8/h slept ± 16 SD; P = 0.046) but did not alter snoring in the other decibel ranges (all Ps > 0.1). Trends were found for reductions in the frequency of apneas plus hypopneas (no TSD: 26/h slept ± 17/h slept; TSD: 15/h slept ± 13; P = 0.06) and oxygen desaturations of 4% or more (no TSD: 10/h slept ± 10; TSD: 5/h slept ± 5; P = 0.09). Significant improvements in microarousal frequency with the TSD were found (no TSD: 34/h slept ± 16; TSD: 22/h slept ± 14; P = 0.004). Significant reductions in percentage of Stage 1 sleep with the TSD were also demonstrated (no TSD: 10 ± 3%; TSD: 8 ± 2%; P = 0.03). The results of this small pilot study indicate that the TSD may be effective in reducing snoring severity and microarousals, with favorable trends for reducing SDB severity in selected individuals. Additional larger prospective studies are required to identify suitable candidates for TSD use in the treatment of snoring and SDB. COMPARISON OF MANDIBULAR ADVANCEMENT SPLINT AND TONGUE STABILIZING DEVICE IN OBSTRUCTIVE SLEEP APNEA: A RANDOMIZED CONTROLLED TRIAL. Sleep. 2009 May;32(5):648-53. Deane SA1, Cistulli PA, Ng AT, Zeng B, Petocz P, Darendeliler MA. Objective testing showed the MAS and TSD had similar efficacy in terms of AHI reduction. Patients reported improvements with both devices; however, better compliance and a clear preference for MAS was apparent when both devices were offered. Longer term studies are needed to clarify the role of TSD. Sleep. 2011 Apr 1; 34(4): 469–477. Kate Sutherland, PhD 1,2; Sheryn A. Deane, MDSc 3; Andrew S.L. Chan, MD, PhD 1,2,4; Richard J. Schwab, MD 5, Andrew T. Ng, MD PhD 4; M. Ali Darendeliler, PhD 3; Peter A. Cistulli, MD, PhD 1,2,4. 1 Centre for Sleep Health and Research, Department of Respiratory Medicine, Royal North Shore Hospital, St Leonards, NSW, Australia; 2 Woolcock Institute of Medical Research, University of Sydney, NSW, Australia; 3 Department of Orthodontics, Faculty of Dentistry, University of Sydney, Sydney Dental Hospital, NSW Australia. 4 Department of Respiratory and Sleep Medicine, St George Hospital, University of New South Wales, NSW, Australia; 5 University of Pennsylvania, Philaldephia, PA, United States of America. 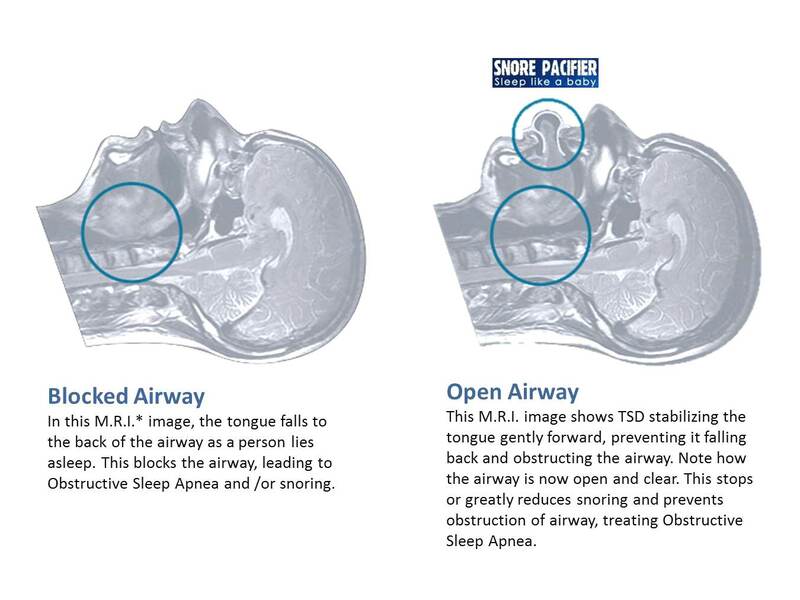 Oral appliances offer an effective alternative to continuous positive airway pressure (CPAP) in the treatment of obstructive sleep apnea (OSA).1 Oral appliances can be categorized into two design types; the mandibular advancement splint (MAS) and the tongue stabilizing device (TSD). MAS devices attach to the dental arches and mechanically protrude the mandible, whereas TSDs consist of a preformed bulb, which holds and protrudes the tongue using suction. TSD are used less commonly, and investigations into their efficacy remain limited.4–8 Tongue protrusion using these devices has been shown to lead to improvements in OSA, with demonstrated reductions in AHI, arousal frequency, and oxygen desaturation,4,6–8 as well as improvement in daytime sleepiness.6,9 TSD has been proposed as a treatment option for patients with dental contraindications (hypodontia, edentulism, periodontal disease), which preclude the use of MAS. In conclusion both MAS and TSD increase upper airway dimensions and move surrounding soft tissues; however, the magnitude and pattern of changes differ between appliances. Further research evaluating whether these changes or the site of change within the airway can be used to predict treatment outcome is warranted.